The Ford EcoSport Titanium S variant will come with black exterior treatment, a sunroof, new alloy wheels and a six-speed manual gearbox. The SUV is expected to launch soon. 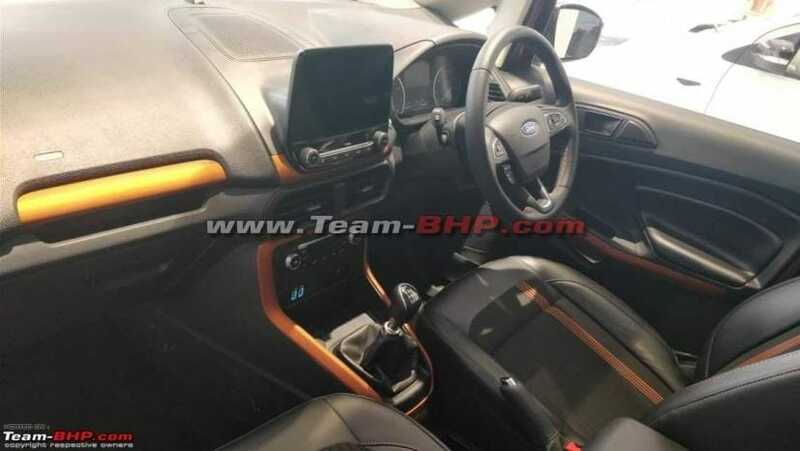 Images of the long-anticipated Ford EcoSport Titanium S variant have recently surfaced online revealing a bunch of new features the SUV is set to offer. 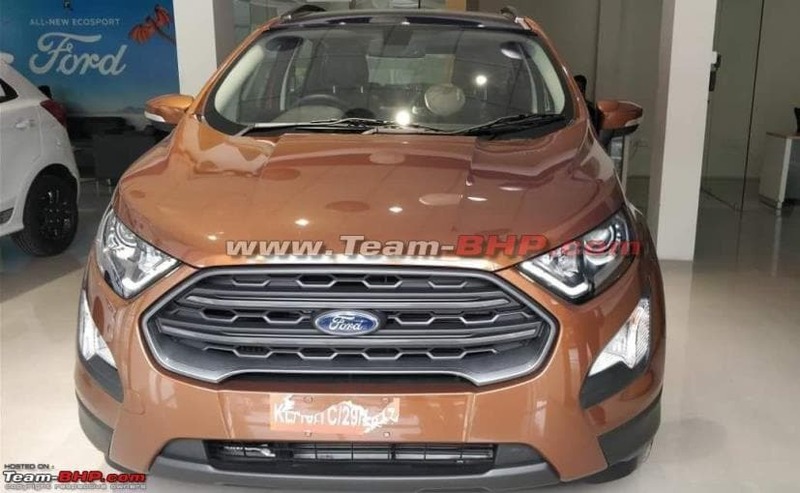 This particular SUV is claimed to have been spotted at a Ford dealership in Kerala, and judging by the images, in addition to few cosmetic enhancements, the Titanium S variant of the EcoSport will also come with a sunroof and a six-speed manual gearbox. Other updates will include a black exterior treatment and new sportier looking alloy wheels among few more. We first saw the new Ford EcoSport Titanium S variant in October 2017, before the launch of the facelifted model. 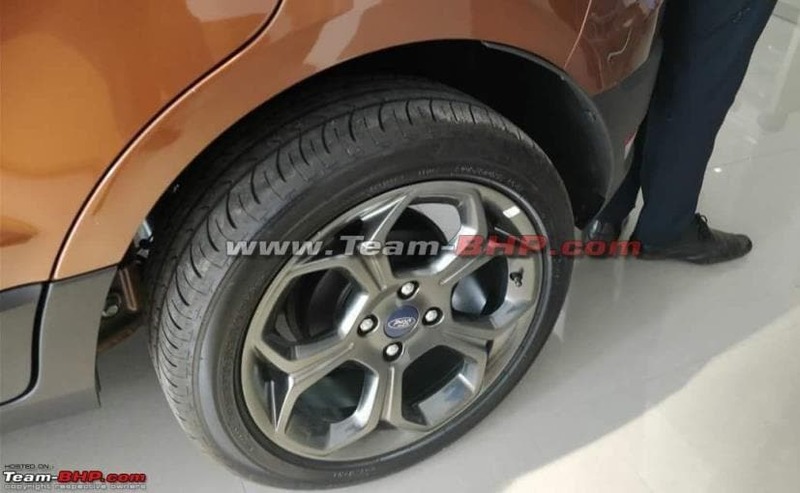 While we were expecting the carmaker to introduce the Titanium S trim along with the EcoSport facelift, it seems like Ford has been saving it for a later date. The fact that the car has already started reaching dealership indicates that the company will be introducing it pretty soon and it will be positioned above the existing top-end Titanium+ variant. Visually, the EcoSport Titanium S variant comes with a host of cosmetic updates, compared to the standard facelifted EcoSport, to go with the 'S' suffix. The changes include - a darker grille, smoked projector headlamps with LED daytime running lights, black cladding surrounds for the foglamps and black roof rails. The most prominent change, however, is the new sporty alloy wheels that look much nicer than the standard ones. 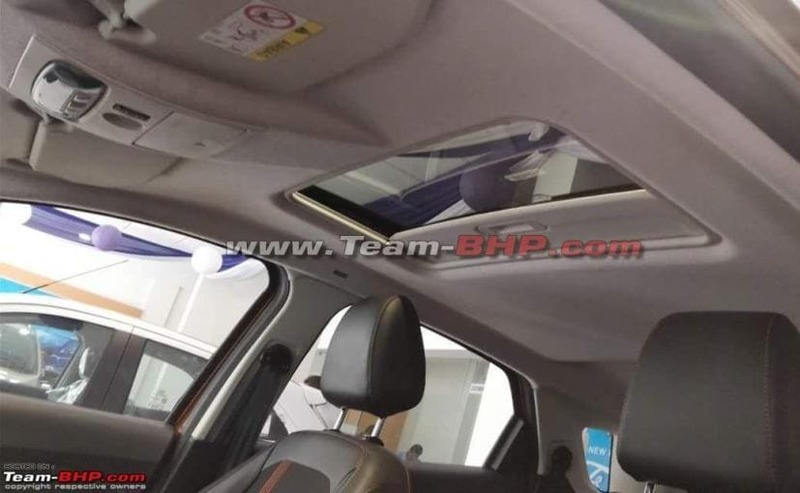 While we do not get to see the rear portion of the SUV in these images, based on the previous spy shots, it will come with a black roof-mounted spoiler with integrated brake lights and the 'Titanium S' badging. The cabin too comes with a bunch of changes like black interior with orange highlights and inserts for the dashboard, centre console and door panels. In fact, even the upholstery comes with contract orange highlights, while the leather-wrapped steering wheel also gets contrast orange stitching. The biggest upgrade, however, is the new electronic sunroof. The centre stage on the dashboard is taken by the new signature floating touchscreen infotainment system, which will come with Ford's SYNC3, Apple CarPlay and Android Auto. The 3-spoke multi-functional steering wheel and a twin-pod instrument cluster with a large MID are carried over from the standard model. As for powertrain options, we expect the Titanium S variant of the EcoSport to be offered in both petrol and diesel engine option. While the 1.5-litre TDCi diesel engine is likely to be the one that will get the new 6-speed manual gearbox, the petrol variant, which is powered by the new 1.5-litre engine from the Dragon series might only come get the 6-speed automatic transmission. Power outputs will remain unchanged at 99 bhp / 205 Nm for the diesel model and 123 bhp /150 Nm for the petrol version.